19th July 2012 – The iconic Olympic torch, the much-loved symbol of the largest sporting event on Earth, disappeared briefly today as it continued its journey to the opening ceremony in London. With barely a week to go until the games begin, the carrier of the torch was found in a confused state by the side of the road, claiming he had ‘lost the torch’. A frantic search ensued, involving Police and members of the Armed Forces, before the torch was located several miles away in Southend. 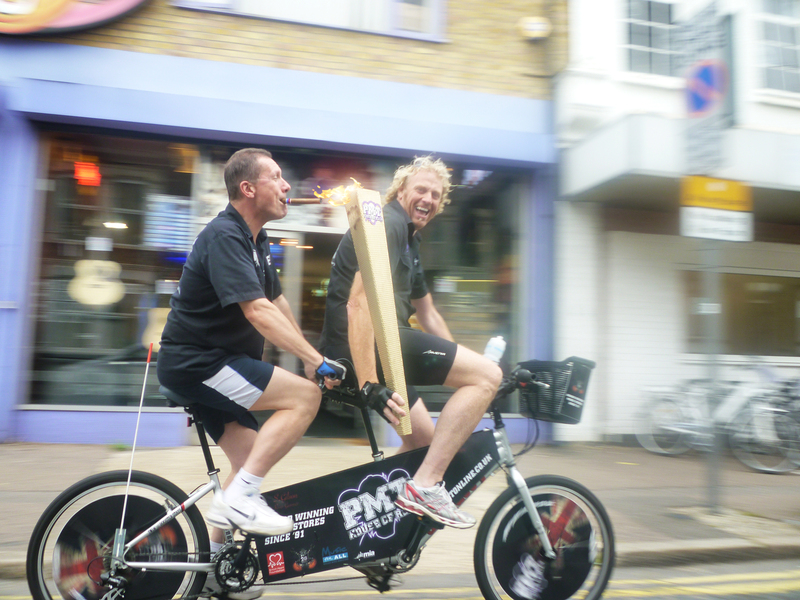 Although Gilson couldn’t explain how the torch had got to Southend, all charges have now been dropped and the Games – and the Three men on a Bike charity ride – can now go ahead. Print article This entry was posted by admin on July 19, 2012 at 4:01 pm, and is filed under Uncategorized. Follow any responses to this post through RSS 2.0. You can leave a response or trackback from your own site.